Our Flooring Contractor Forms coversall aspects of the business and details specific to flooring. They can be used for both residential and commercial. We use NCR carbonless paper in full page or small half page, i.e. 8.5" x 11" or 5.5" x 8.5". 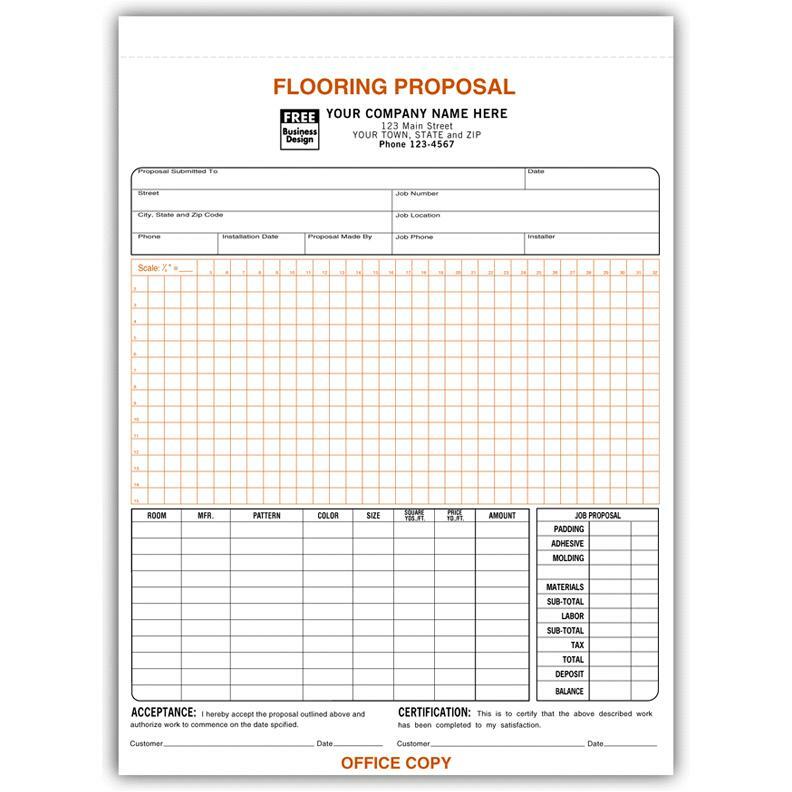 The flooring installer will find these forms easy to complete with preprinted areas, work description, materials used, labor hours etc. 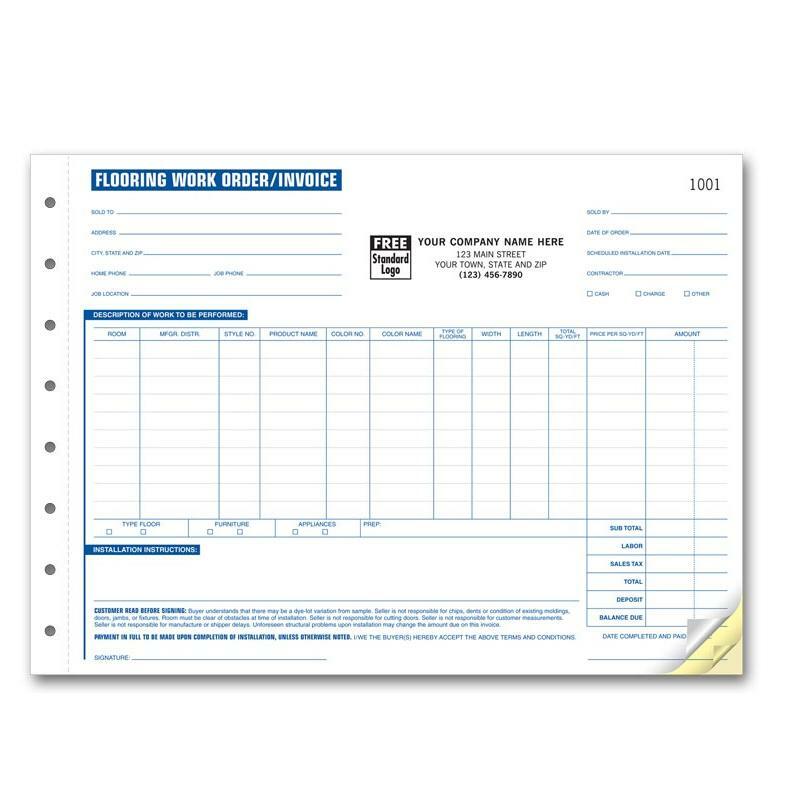 Our work orders and invoices have options for booklets with 50 per book, numbering, wrap around convers and more!